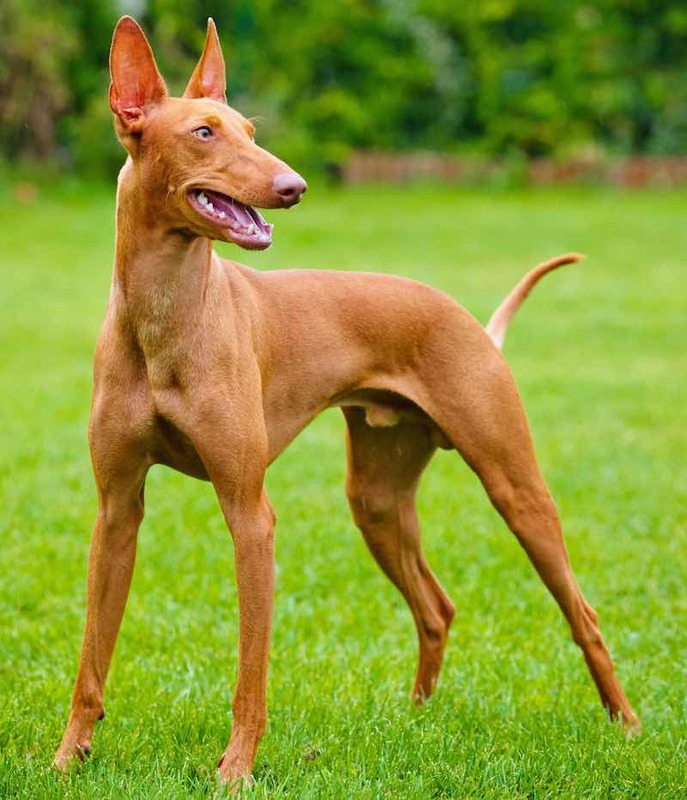 Pharaoh Hound originated in Egypt. However, breeders developed this breed on the Mediterranean islands of Malta and Gozo. 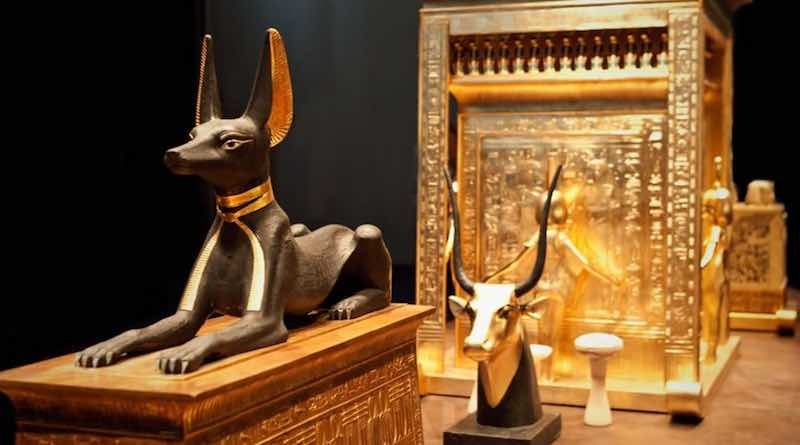 Phoenician traders took the dogs to the islands as objects of barter well before the birth of Christ and there they bred pure breed Pharaoh Hounds for almost 2,000 years. On the isolated islands, the breed was utilized to hunt hare, rabbits, and birds. There are two types of hound dog breeds – Sighthounds and Scenthounds. 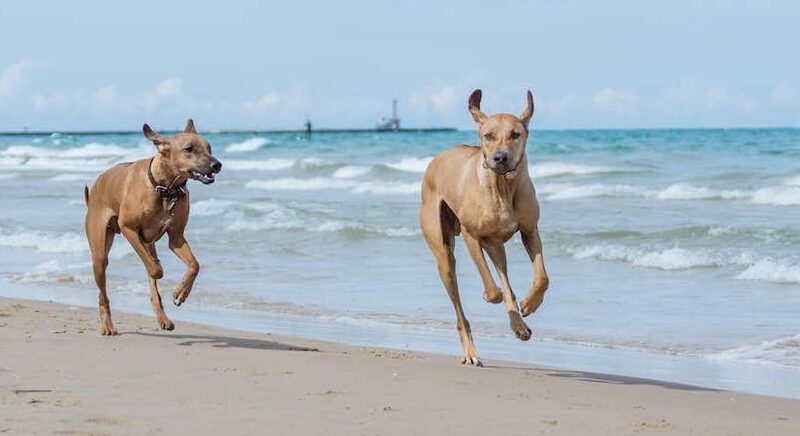 Sighthounds have a well-developed eyesight and therefore they hunt by sight; Scenthounds have a highly developed scenting ability and so they follow their noses. 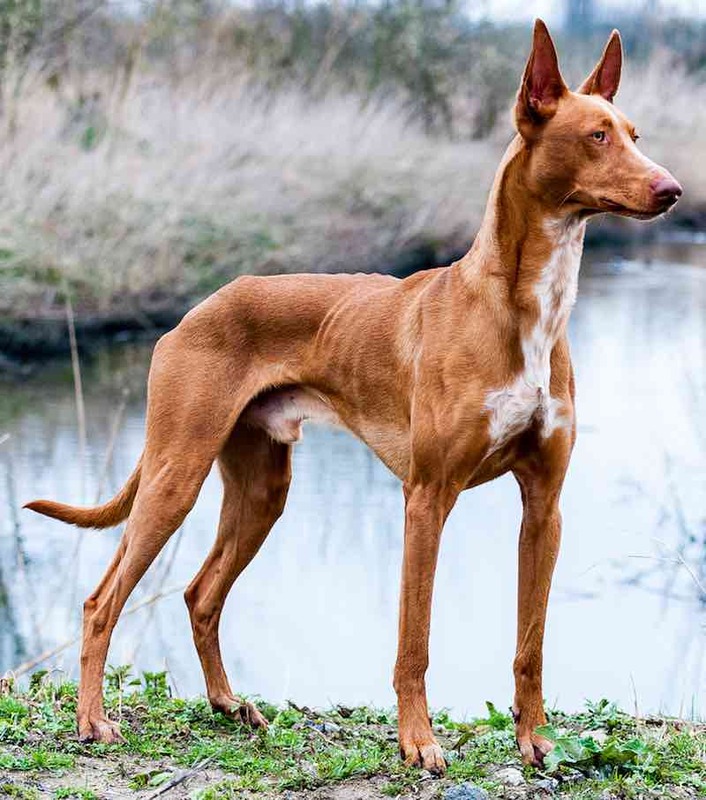 Unlike most hounds, the Pharaoh Hound dog breed hunts both by scent as well as sight. This breed is a keen hunter and also uses its large ears to a marked degree when working close. Dog lovers imported these graceful hounds to Britain in the 1920s. 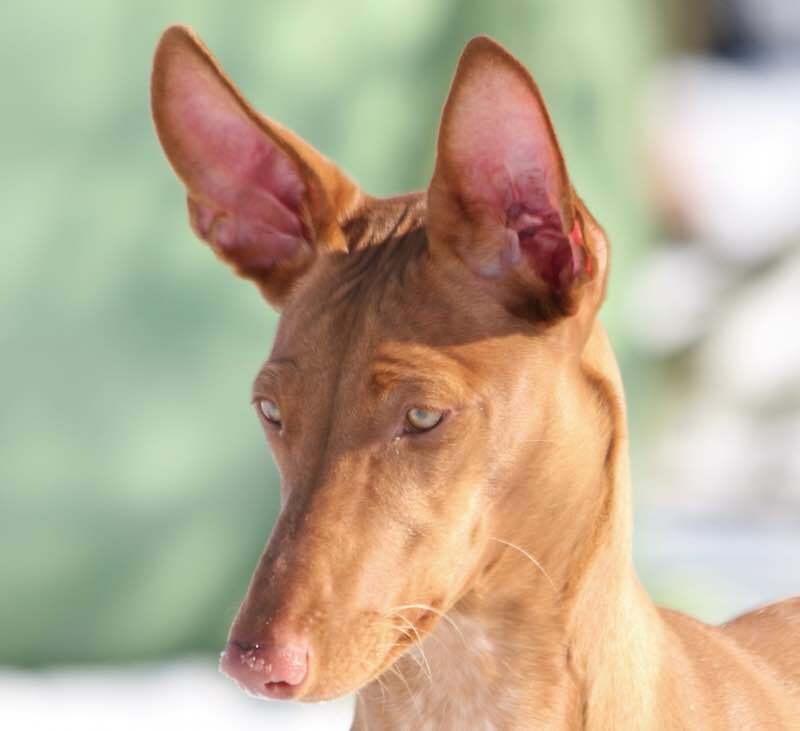 The Pharaoh Hound name originates from the breed’s resemblance to the Egyptian dog-god Anubis. 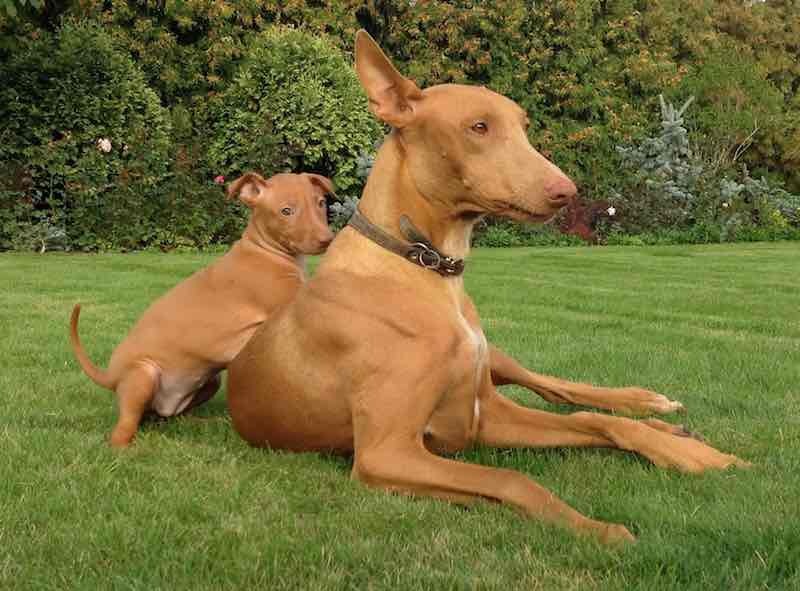 The Pharaoh Hound is a friendly, affectionate, intelligent and playful dog breed. This breed is very clean and also has no doggy odor, even when they are wet! 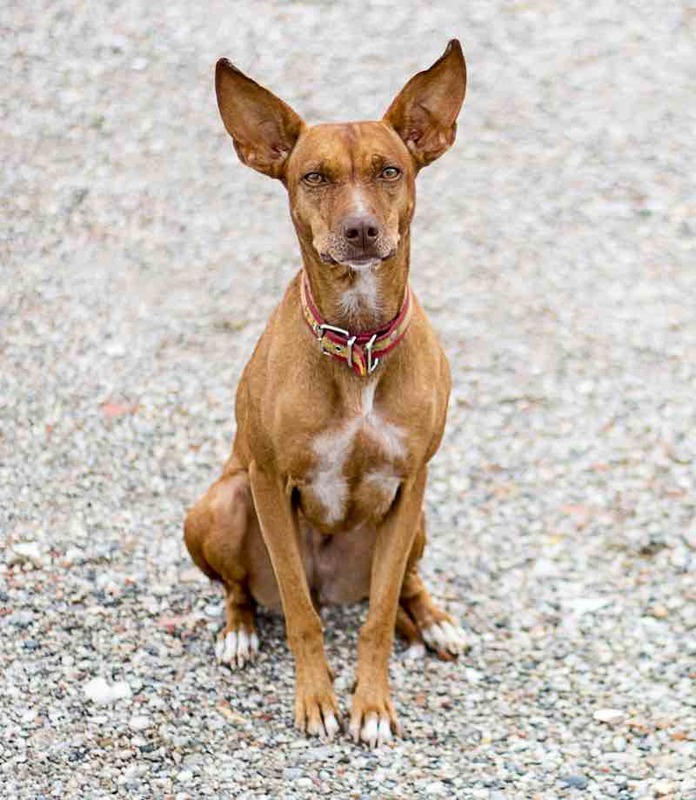 General Appearance: The Pharaoh Hound is medium sized, of noble bearing, with clean-cut lines. Graceful yet powerful. Very fast with free and easy movement. Males: 22-25 inches (55-63 cm). Females: 21-24 inches (53-61 cm). Maintain overall balance. Coat: Short and glossy, ranging from fine and close to slightly harsh, with no feathering. 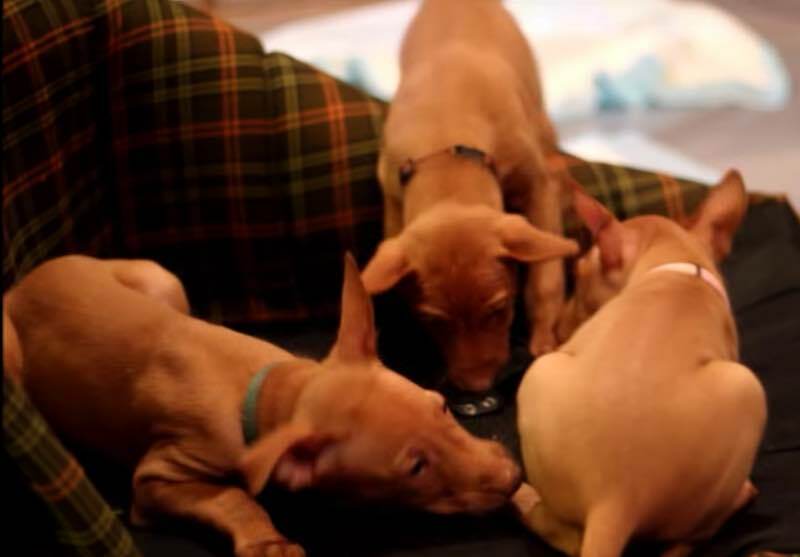 Pharaoh Hound Colors: Tan, rich tan with white markings permitted as follows: White tip on tail strongly desired. 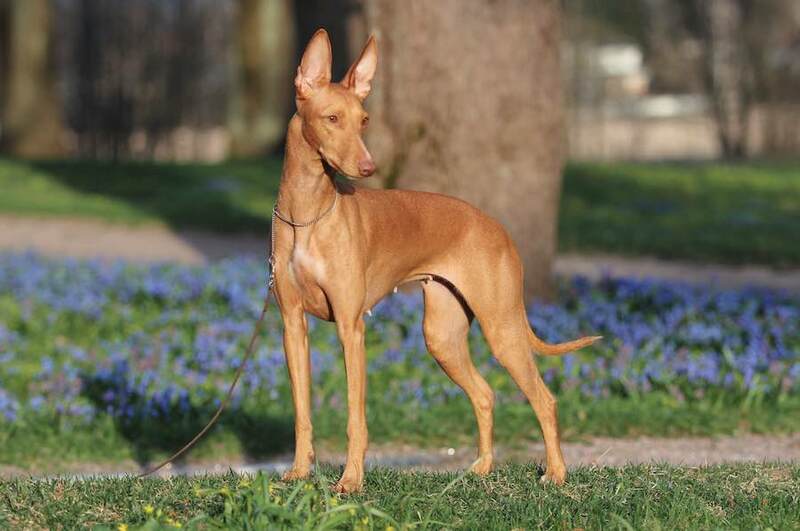 Pharaoh Hound with white on chest (called the star) is highly desirable. White on toes. Slim white blaze on the center of their face is highly desirable. Flecking, or white other than these markings is undesirable. Head: Skull: Long, lean, and well chiseled. Foreface: Slightly longer than skull; only slight stop. Top of skull parallel with foreface, the whole head representing a blunt wedge when viewed in profile and from above. Nose: Flesh-coloured only, blending with the coat. Mouth: Powerful jaws with strong teeth. Scissors bite. Eyes: Amber color, blending with the coat. Oval, moderately deep set, with keen, intelligent expression. Ears: Medium high set; carried erect when alert, but very mobile; broad at base, fine and large. Forequarters: Shoulders strong, long, and well laid back. Forelegs straight and parallel. Elbows well tucked in. Pasterns strong. Feet are supposed to be strong, well knuckled and firm, turning neither in nor out. Paws must be well padded. Remove the dewclaws. Body: Length of body, from breast to haunch bone, slightly longer than the height at the withers. Topline lithe and almost straight. A slight slope down from croup to the tail root. Chest: deep brisket extending down to point of elbow. Ribs well sprung. Abdomen: moderate tuck up. Hindquarters: Strong and muscular. Limbs should look parallel when viewed from behind. Thigh: well developed second thigh. Stifle moderate bend. Hocks well let down. Tail: Medium set, fairly thick at the base and tapering (whiplike), reaching just below the point of hock in repose. The tail should be carried high and curved when the dog is in action. The tail should not be tucked between the legs. A screw tail is a fault. Gait: Free and flowing with head held fairly high, the dog should cover the ground well without any apparent effort. The legs and feet should move in line with the body. Any tendency to throw the feet sideways or a high-stepping hackney action is a fault. 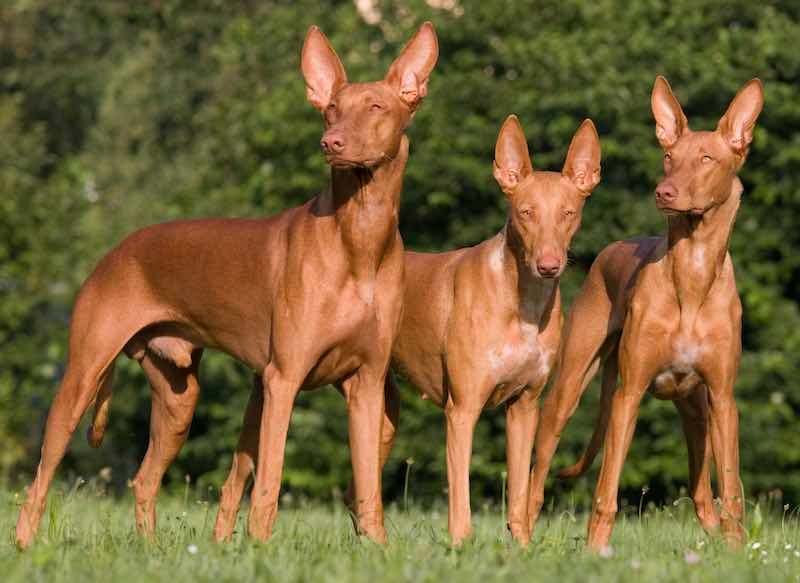 Faults: The foregoing description is that of the ideal Pharaoh Hound. Do not consider accident blemishes as faults. Any deviation from the above-described dog must be penalized to the extent of the deviation.